Below are a few testimonials submitted from satisfied customers, we would love to add you to the list. Wes and Ryan from Paradise pools are by far the best pool contractor I’ve used in my 32 years of building homes in Orlando. I really like that both Wes and Ryan are owners and handle each of their areas of responsibility like owners of the company do. They have a stake in the game versus an employed salesman and an employed site supervisor. 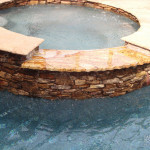 They are professional, polite, do excellent work, and best of all… Their pool pricing is unmatched. If you’re even considering using another pool company… Contact me right away. Paradise Pools was a great company to do business with. They bring a consultative approach to designing the pools based on the style of house that you have as well as you’re individual taste. On top of helping design and build a great pool, they’re very professionalism is second to none in their space. Very responsive and willing to go the extra mile to ensure our satisfaction. It was the easiest process we dealt with in building a new house. Lastly, their pricing was surprisingly good for the quality of work they do. Highly recommend working with them. 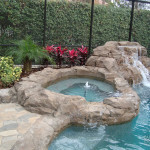 Paradise Pools by Design are the luxury pool and spa experts. They completed an unbelievable pool renovation for a home I purchased complete with a spa, pool waterfall and pool landscaping that takes your breath away! I could not be happier with the professionalism and quality of work I received from Paradise Pools. Their attention to detail was very impressive. I would not hesitate in recommending them. 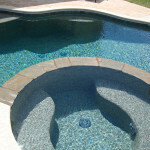 We love our pool installed by Paradise Pools by Design. From design to construction the communication was open. Never having had a pool before there were many questions and Wes and Ryan were very helpful. Ryan Holland and his entire team are the most professional contractors I have had the pleasure hiring, period. All usual pain, patience and frustration one must endure when hiring any contractor to do any type of project – these guys were the exact opposite; what a pleasant surprise. Starting from their fair pricing, no budget surprises, work started on time, their attention to details and perfectionism, calling to check if everything is ok after getting paid in full and more. It was a real pleasure, I would not hire anyone else for a custom high-end pool. I just wish they had more services that I could hire them for instead of all the rest of the contractors out there! This company is THE BEST! They were able to figure out from the very beginning EXACTLY what I wanted, take it from my dreams to first a visual representation then to the real thing with absolutely no problems AT ALL! I would recommend them again and again and again! I now have the pool that before Paradise Pools By Design was only in my dreams!! !